The complex figure of Theodor Adorno has made a lasting impact on modern political and philosphical development. Deeply interested in the flowering of modern art and an accomplished musician who was close to Schoenberg’s circle, he was profoundly affected by revolutionary Marxism, although he always resisted its institutionalized manifestations. Adorno sought to highlight the negative characteristics of the Enlightenment while at the same time emphasizing its positive and empancipatory aspects. In both politics and philosophy he preferred the spontaneous to the orthodox, the experimental to the conventional. His life’s work rejects the capitalist system of the twentieth-century while at the same time acknowledging and affirming its creative cultural achievements. Hauke Brunkhorst’s book is the first English-language assessment of Adorno’s life and work. 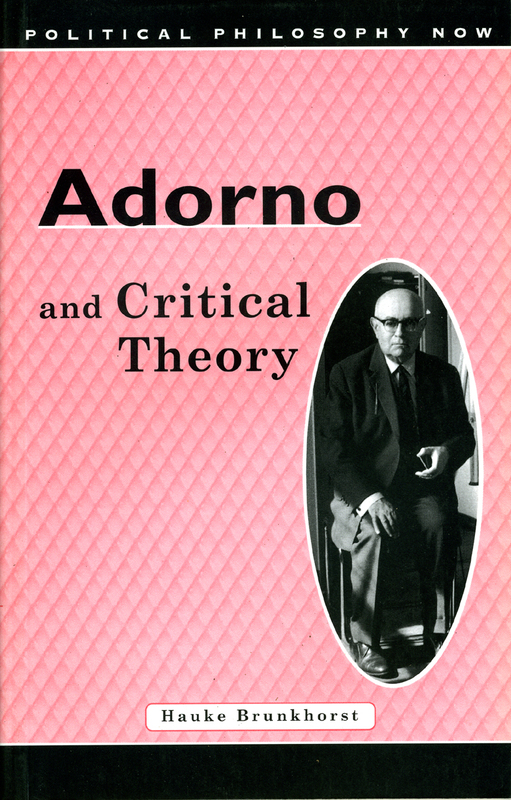 He stresses the links between Adorno and the dialectical thinking of Hegel and Marx, but also emphasizes the connection between Kant and Adorno. The book sheds new light on Adorno’s negative dialectic and is an important contribution to the debate on this celebrated philosopher.